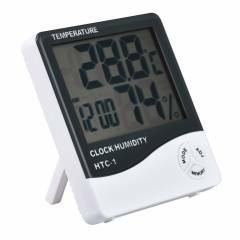 Time / Temp / Humidity indicate. Temp Reading for deg C & deg F.
Max & min Temperature and Humidity Memory. With mounting hole and support stand, it can both hang on the wall or stand on the table. One of the must have in your own office cabins.